When it comes to weight lifting and bodybuilding, many people consider a set of huge arms to be one of the main indications of how big and muscular a person actually is. If you ask somebody to flex their muscles for you, they’ll almost certainly hit a bicep pose. Yes, when it comes to muscularity, the arms are a great place to start, yet many people seem to focus on the biceps as opposed to the triceps. In actual fact, it’s the triceps that are responsible for a person’s arm size, as the muscle is so large, with three separate heads, hence the name TRI-CEPS. If you’re looking to build a set of guns to be proud of, then lying arm triceps extensions are absolutely ideal. 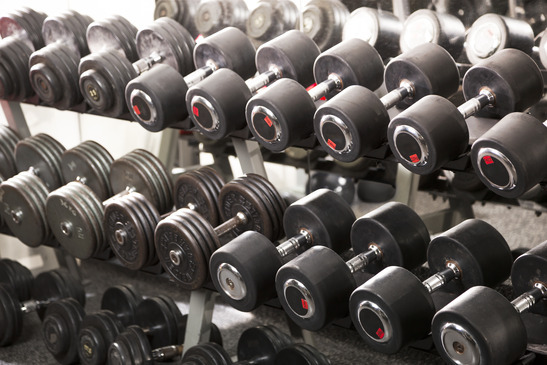 Begin by laying down on a flat bench, holding two dumbbells in front of you. your knees should be bent and your feet planted firmly on the floor. Next, straighten your arms out above you so that the dumbbells are now held up in the air above your head. Slowly lower the dumbbells back down by bending your elbows so that the dumbbells lower down until they’re positioned directly at the side of your head. Repeat by extending the arm above you again, and repeating the exact same movement for the required amount of repetitions. You can also do this exercise with a bench set at either an incline, or a decline position. Setting the bench at different angles will target the different heads of the triceps ever so slightly. The exercise is done in exactly the same way, other than the fact that the bench will be set at a different angle. We also have a video explaining how to do incline lying arm triceps extension and decline lying triceps extension. Bench Press - How To Do It!